— The Battle Creek Enquirer, May 1924. For more stirring straw history, see the story at bottom right. 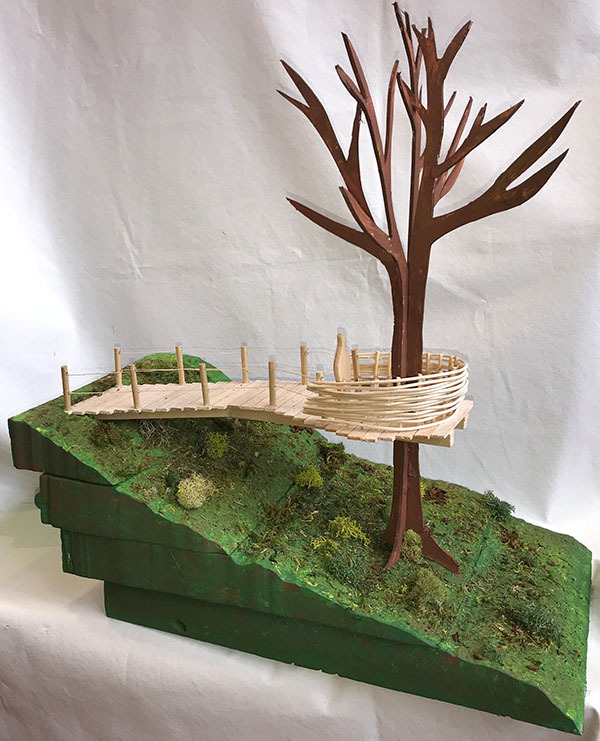 "This viewing platform is designed for the community, to bring people out into nature. As the viewer walks out, the railings transform into a bird’s nest giving the perspective of a bird. My hope is that having this experience will change how people perceive their surroundings – I want them to forget about their everyday lives and view nature from a different angle. Perhaps to experience nature as a bird might, from the elevated platform with the feeling that they are flying." 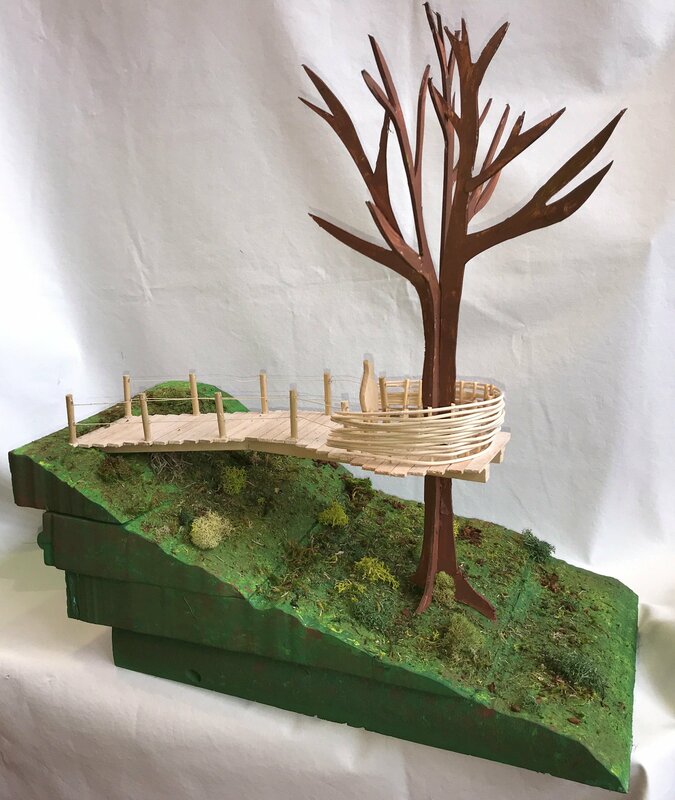 Owen was one of three first-place winners in the 2018 edition of our high school art contest. View the rest of the entries here! Thursday, July 5, 8:00 - 10:30 pm, State Forest. 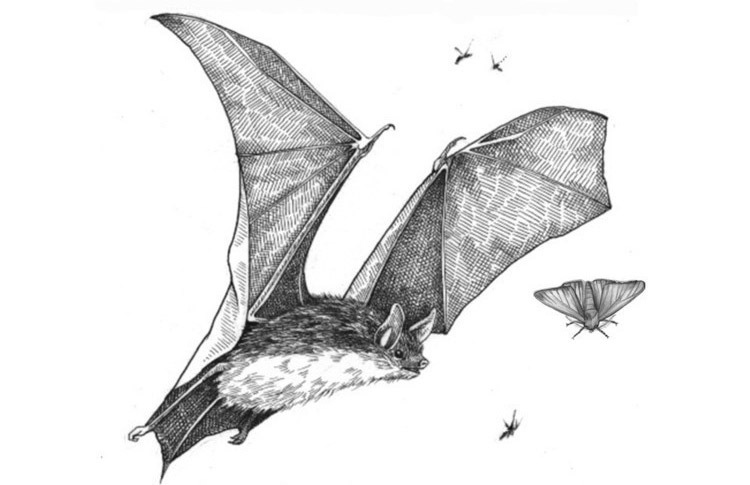 Join BiodiversityWorks biologists and Paul Goldstein from the Smithsonian/USDA entomology lab for a free program focusing on local bat and moth species found in the Manuel Correllus State Forest. With any luck we will catch some live specimens! Wear pants and long sleeves, and bring insect repellent and a flashlight. Meet at the Forest HQ off Barnes Rd. Rain date is July 6, for more info see BiodiversityWorks or call (800) 690-0993. Saturday, July 7, 9:00 — 11:30 am, Oak Bluffs. The Annual Meeting of the Lagoon Pond Association is the place to get your questions answered about water quality, recreation, and nitrogen reduction efforts in the Lagoon. This year's meeting will feature a special guest, Mark Rasmussen, President of the Buzzards Bay Coalition. The Coalition has done much work recently in tackling nitrogen pollution from wastewater, wetlands restoration, and watershed land conservation, all subjects with important parallels to efforts underway on Martha’s Vineyard. At Sailing Camp Park, free, for more info call (508) 693-4191. Saturday, July 7 and 14, 9:30 — 10:30 am, Oak Bluffs. Sponsored by Friends of Sengekontacket, this free Felix Neck program explores a different aspect of Sengekontacket Pond each week. From the birds above to the creatures below the water's surface, the program includes hands-on activities for all ages. Meet at the Little Bridge on Beach Road, on the pond side. For more info, call (508) 627-4850 or see Felix Neck website. Tuesday, July 10, 7:00 — 8:30 am, Vineyard Haven. The Antarctic ice sheets are shrinking rapidly. A scientist who studies ice sheet change, Greg Balco of the Berkeley Geochronology Center will give a talk on what ice sheets are and how they work; what it means that they're "collapsing"; and what is involved in actually getting to and working in Antarctica. At the Vineyard Haven Public Library, free, for more info see Library website. Thursday, July 12, 7:00 pm, Vineyard Haven. Dr. Kevin Esvelt of MIT is joined by Drs. Sheila Jasanoff, Carolyn Neuhaus, Duane Wesemann, and Sam Telford for a free presentation at the Katharine Cornell Theater on "Mice Against Ticks". Under development in Esvelt's "Sculpting Evolution" lab, the project aims to reduce ticks through the genetic engineering of the white-footed mouse. Following opening comments by local author John Sundman, New Yorker writer Michael Specter will lead a panel discussion on biotechnology and bioethics. There will also be short technical talks on the science and a game of Lyme prevention trivia with permethrin-treated prizes. For more info, see the V.H. Library website. In its 30-plus years of existence, the Martha’s Vineyard Land Bank has protected more than 3,000 acres of land for wildlife habitat, agriculture, and recreational activities. Over the years, the Land Bank has also endured criticism from individuals, groups, or business interests who disagree with a particular decision or action – or, at times, their conservation mission in general. Far more concerning for the future of our Island (though unsurprising, as no one likes paying taxes) are the sporadic calls to reduce or eliminate the Land Bank’s sole source of revenue, a 2% transfer fee levied on most real estate transactions. 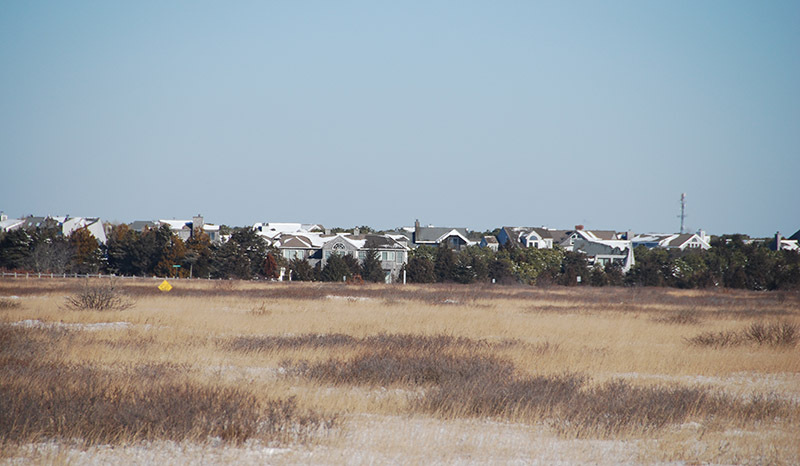 Within this historical context, the controversy over the building of a fence at the Trade Wind Fields Preserve in Oak Bluffs is not terribly unusual. Both the Vineyard Gazette and M.V. Times (along with letters from readers) have been critical of the Land Bank’s fence decision and their interactions with the public throughout the process. What we were surprised by was that the Times’ scathing editorial went so far as to endorse the elimination of the Land Bank’s funding. That is quite a shocking departure from an editorial position that previously valued open space – especially for hunting, fishing, and other recreation – so highly. Let us make one thing clear. This suggestion – “We need to be talking about redirecting transfer tax money, including the Land Bank’s 2 percent, and more if we need it, to help pay for the equitable and effective infrastructure all Islanders need” – means the functional elimination of the Land Bank, not merely the cessation of new acquisitions. With no incoming revenue they would be unable to continue to manage the parcels they already hold. The future management of some 3,100 acres of preserved open space in such a scenario is unclear. We would caution those who favor the elimination of the real estate transfer fee (or its redirection to other purposes) that they may be ultimately disappointed in the result if, due to their new land management burdens, Towns must significantly increase annual property taxes. Finally, the Times' proposal that the Land Bank’s funding would be better spent on building “infrastructure” is unwise. It ignores the fact that, while we do face a looming crisis of aging and insufficient infrastructure, their core mission of protecting open space is already working to reduce the sticker shock that is sure to come. For more on this point – i.e. 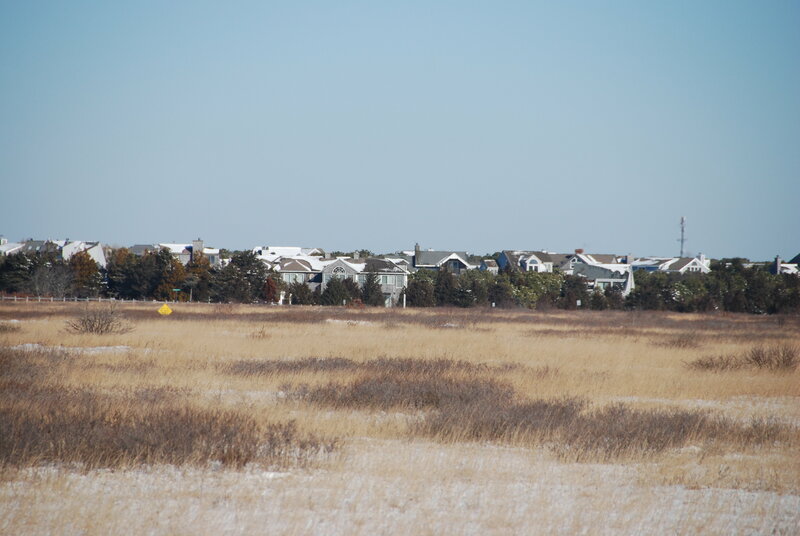 the connections among open space, overdevelopment, and infrastructure – please read our letter in response to the Times editorial. "Future generations will rightly criticize us if we are not more aggressive in conserving more, not less land — now, while the opportunity remains." 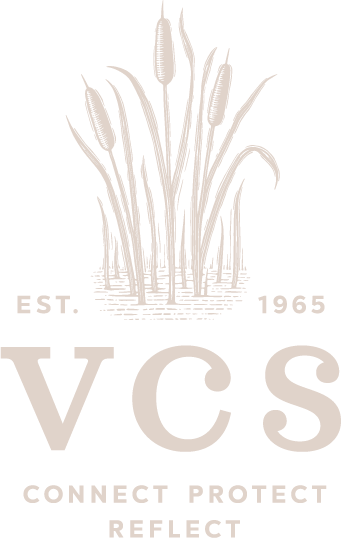 Also, please see the wonderful letters submitted by two VCS members, here and here. Thank you, Prudy and Liz! 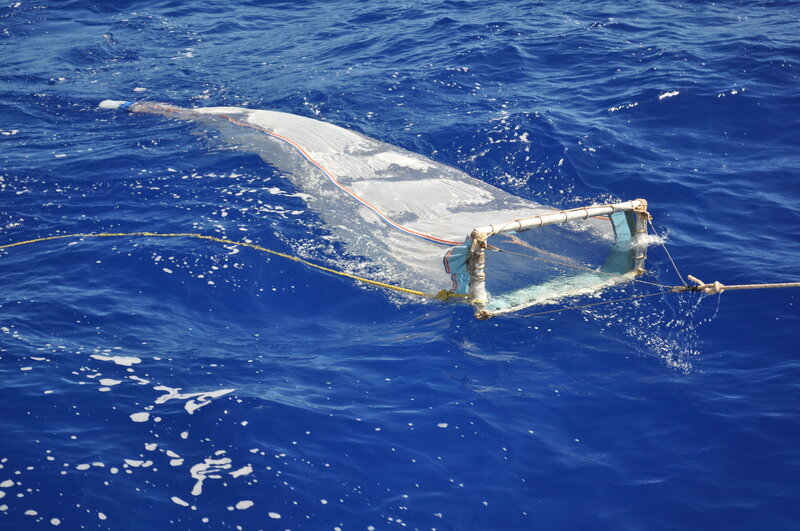 A neuston net is used to sample plastics floating near the ocean surface during an SEA sailing voyage. For more photos from SEA's plastics research, scroll to the bottom of this page. Plastic is a ubiquitous element in the habitat of the modern human: convenient, often annoying, yet sometimes perfectly suited to a job . . . but always present. However, at this year’s VCS Annual Meeting, many were surprised to learn that plastic has now moved beyond the human environment to exist virtually everywhere, found in Arctic ice and boutique-branded sea salt, and floating as particles in the air and in deep-sea trenches. That was the wake-up call from special guest speaker Jessica Donahue, researcher from the Sea Education Association (SEA). For thirty years, SEA has been collecting data on marine plastic debris in the North Atlantic. Analysis of that data set, the largest in the world, has yielded estimates of the total amount of plastic in the ocean and many other insights. Yet many questions remain regarding plastic pollution, particularly the role of microplastics, the tiny particles created by the breakdown of plastic once it’s exposed to the elements. Jessica’s work focusing on microplastics has shed light on how plastic polymers differ in their toxicity, persistence, and origin, as well as the uneven dispersal of all that material – over 200,000 metric tons – across the oceans. However, her message was hardly “doom-and-gloom”. While an admittedly broad category, the primary source of plastic coming into the ocean is what she called “mismanaged” waste – and governments across the globe are gradually catching up to the problem. Improved waste disposal practices can prevent millions of metric tons of plastic from entering the oceans every year. On an individual level, behavior change – reducing the amount of plastic we use – is another important factor, and one that is building momentum across society. Plastic bag bans, water bottle refill stations, skipping the straw – these are all methods to reduce the use of what SEA's research (among others) reveal to be the most common items being input to the oceans. Public demand is already driving innovation and change. Surveys indicate that 90% of people prefer to not be automatically given a plastic drinking straw at restaurants, and 97% disapprove of using plastic for “single use” applications in general. At the end of her presentation, Jessica concluded, “I am hopeful that we are seeing a fundamental shift. It is a messy web, but the little shifts – in purchasing, packaging, transporting – all those little changes will make a big difference. Five years from now we will be seeing a new norm”. 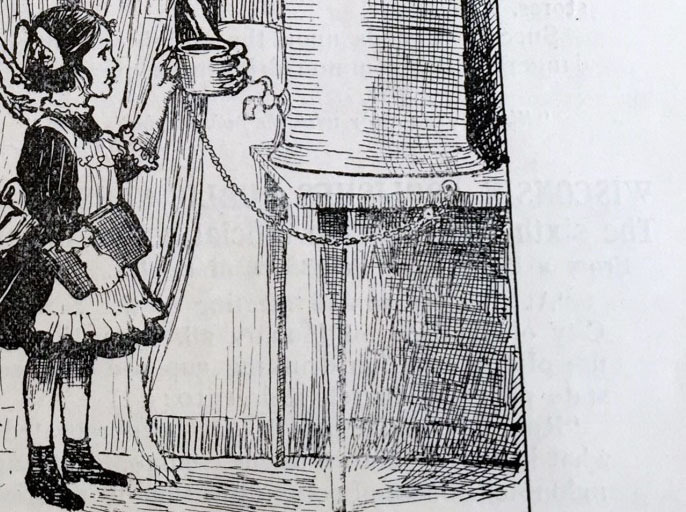 Who is that helpful fellow offering water to a thirsty child from the "town common cup"? Read the story to find out! It’s hard to offer much commentary on this story in The Atlantic, which analyzes the history of American capitalism . . . through the lens of the disposable plastic drinking straw. Perhaps not for the easily offended – liberal idealism and conservative reaction are both roundly mocked, and the totalitarian imagery deployed (“bags were first against the wall”) all by the second paragraph – but it’s an interesting, occasionally funny, and somehow simultaneously troubling and lighthearted read.